Samsung Galaxy A82018 , Galaxy A8+ 2018 now in the Philippines. Will you get it? Samsung Galaxy A8 (2018) and Galaxy A8+ (2018) debuted in the Philippines earlier this week. Both handsets boast dual-front camera set-up and stunning 18.5:9 displays. The placement of the fingerprint sensor took some nods from the rumored Galaxy S9- it's a rearranged horizontal oval-shaped slot below the rear camera. The Samsung Galaxy A8 and Galaxy A8+ come with almost identical feature set except for the fact that the latter has bigger display and flexible RAM configurations. 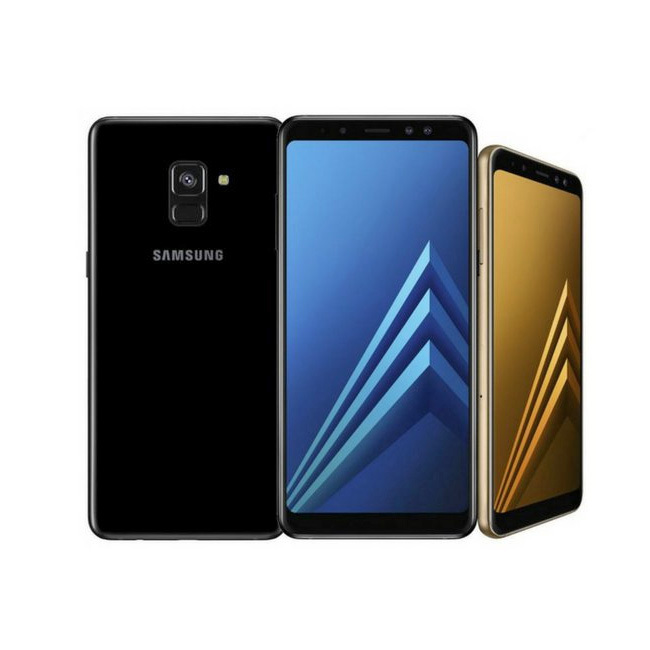 Rounding up the specs, the Galaxy A8 packs a 5.6-inch FHD+ Super AMOLED display with 1080x2220 pixel resolution; while the Galaxy A8+ boasts a 6-inch FHD+ display. The Samsung Galaxy A8 (2018) and Galaxy A8+ (2018) tick with Exynos 7885 which features six Cortex-A53 cores and two Cortex-A71 running up to 2.2GHz speed. The former packs 4GB of RAM while the latter comes with a choice of 4GB or 6GB RAM. In terms of the camera, the Samsung Galaxy A8 (2018) and the Galaxy A8+ (2018) tout a powerful 16MP sensor with f/1.7 aperture, Phase Detection Autofocus and LED Flash. The front dual camera is a combination of 16MP and 8MP. Both come with f/1.9 aperture. Both handsets run at Android 7.1 Nougat with Samsung Experience skin. The Galaxy A8 is powered by 3000 mAh battery while The Galaxy A8+ (2018) packs 3500 mAh non-removable battery. You can now get the Samsung Galaxy A8 (2018) and the Galaxy A8+ (2018) in the Philippines at Php 26,990 and Php 32,990, respectively in Gold, Blue, Black, Orchid Gray hues.